EA is first up for E3 2016 Press Conferences, so here are our thoughts on their offerings. Despite not actually being on site at E3, EA was the first press conference of the show as they display their wares for next year or two in a tight one hour show. We saw Battlefield 1 and Titanfall 2 close and open the show, respectively, as their big games for this fall. Madden NFL 17 and FIFA 17 were the two sports games that were featured for the EA Sports portion of the show. They also gave a nod to indies after the success of Unravel with a new label focused solely on help smaller teams get their games out there. The biggest part of the show was unquestionably the Star Wars segment where all three of the games they’re working were shown in Behind the Scenes format to formally announce their existence while not having to make demos and full trailers for these games that are still a ways off. Scroll to the end for all of the trailers from the show. Mass Effect: Andromeda – PC, PS4, Xbox One – Spring 2017 – Taking place in the Andromeda galaxy, humans have fled their homes to find a new place to live as you explore many new planets and fight many new species of enemies on them. The trailer doesn’t show enough gameplay to get a vibe on what changes are coming, but it looks like another third-person shooter with special abilities and a Mako-style vehicle to drive around on the planets. This is coming next Spring, so I’d expect more gameplay info over the coming months about what’s new with this game. EA Originals – EA seems to be committing themselves to publishing indie games like they did for a few years last generation, so expect some more original stuff coming out of them for a while as they take on new projects following the success of Unravel earlier this year. We’ve seen the big publishers abandon these smaller games internally over the last few years, so this is a nice step forward to get back into that fold as indies are becoming more of a focus of the Xbox One and PS4 this generation. 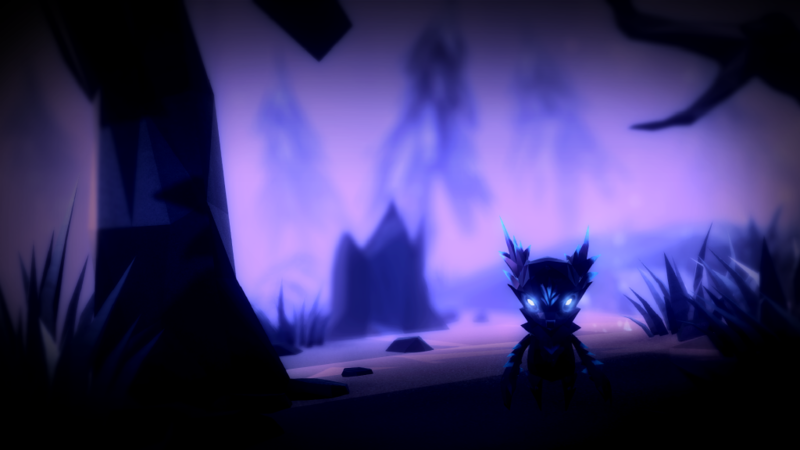 Fe – PC, PS4, Xbox One – Yes, that is the actual title and is pronounced like it rhymes with “He” or “Be.” The first EA Originals game looked really good as a sandbox adventure game where you’re exploring this forest and working with a variety of creatures to help you get around while these evil creatures are coming after you. Battlefield 1 – PC, PS4, Xbox One – October 21 – The focus on World War I provides a really cool change of pace for this series to get away from the modern combat and police procedural show-style games that they’ve made for the last few years. They’re promising some big opportunities for destruction and dynamic weather to help create some chaos and craziness in multiplayer battles that looks cool in the trailer. The variety of weapons both for shooting and melee should be a nice breath of fresh air for those of us that tend to get sniped easily and give us a chance to even the odds. There will be an open multiplayer beta for this later this summer, so we look forward to getting our hands on the game and see if they’ve kept their promises. Titanfall 2 – PC, PS4, Xbox One – October 28 – The original game was a pretty good Call of Duty clone made by the original team that created the series that threw in mechs and more acrobatic traversal options to help change up the pace of the multiplayer, but the one thing it lacked was a single-player campaign. They’re finally offering that in Titanfall 2 and the story centering around an autonomous mech and its soldier pilot is something different than your typical COD campaign. It may not amount to much more than a diversion in the end, but the multiplayer will be there when it’s over. The multiplayer looks to keep the same fast pace while adding a grappling hook to scale buildings more quickly and some other special abilities to offer up some cool moments. There will also be a multiplayer beta for this later on and they’re taking sign-ups on their site right now. Star Wars – PC, PS4, Xbox One – We got a look at all three upcoming games in this long behind the scenes trailer (listed below) that looked cool, but was so devoid of details that it was a bummer. We only have a name for the sequel to Star Wars Battlefront that is coming in 2017 and the promise of more stuff from Episode VII and VIII to add to the fold for the next big Star Wars multiplayer game that sees EA Motive and Criterion Games helping out. Amy Hennig’s game with Visceral looked unsurprisingly like it’ll be a third-person game set in the Star Wars universe at some point, though that’s as much as we saw from that game even though it won’t be out until 2018. Stig Asmussen’s game with Respawn also got the briefest of glimpses with Stig talking about it focusing on gameplay first. FIFA 17 – PC, PS4, Xbox One – September 27 – The big focus for FIFA 17 here at E3 is The Journey, which is their all-new story mode featuring Alex Hunter that is clearly aping the dumb NBA 2K16 story mode starring a character named Frequency Vibrations that was an all-time low for that series. I’m a career mode purist that values a career mode that lets you make your own story, so seeing this premade story was a bit of a bummer that will probably get ignored for most fans that just want the multiplayer and other modes in the box. They’re also bringing managers from the Premier League into the fold to appear in game, which is cool despite every other sports game having done this ages ago. Madden NFL 17 – PS4, Xbox One – August 23 – The game may be fine, but the showing here was incredibly brief and uneventful. The biggest bit of news was that they’re changing the commentary team to one of minor commentators that are much more accessible to record lines and do whatever else is needed for that aspect of the game. It was obvious that they knew that FIFA butters their bread way more and cut down on the NFL stuff for this show. EA Sports’ eSports Push – With DOTA2 and League of Legends among others reigning in tons of money for the competitors and the companies making the games, EA has decided that they want in on the action with a revamped focus on this part of the business that was an overbearing presence on the show. They talked about offering three levels of events for their competitive games from smaller local stages to the big time events where tons of money is awarded. They introduced a group of eight Madden NFL 16 finalists and one of them that was just hyped up in a video as the second best in the world showed up in a sling for his right arm and talked about tripping over his own feet to cause his injury. One of the big news bits was a Madden NFL 17 Championship Series with a $1 million prize pool that was up for grabs, which sounds like a big deal despite there being many previous attempts at making Madden eSports big in the past. Maybe ESPN’s rise in eSports coverage is the big reason for this eSports push from EA. Too Much BTS Footage in Trailers – With EA’s big change in the last few years to open up their development to the audience so they can see the work going into these games, it was a nice way to humanize game development in a way we don’t normally see. The problem is that when games are launching in the next six to nine months, that stuff should be going away unless they want us to think these games aren’t as far along as they claim. Mass Effect: Andromeda is supposed to be out this spring, but the trailer is full of developers, motion capture, and such that obscures the little bits of gameplay for a game that should have a normal trailer to show people what to expect from the game. The FIFA 17 trailer is full of real players playing in motion capture suits while it’s supposed to be a gameplay trailer, which is a thing they’ve done for the last few years.. I can forgive the Star Wars BTS inclusions since they’re at least another 16 months out and you want to hear from Amy Hennig and Stig Asmussen about their new games with any in-game stuff being bonuses. It was a good show overall with boring spots where you could tell they had a few themes for the show (eSports, FIFA, Star Wars, Shooters, Indies) and hammered them as hard as possible. Some weren’t that good for the show while others were great to see. Besides that, this was just another EA show as they hit the same things they typically do most years and they tend to come out with a good offering of stuff that usually doesn’t disappoint but it doesn’t offer any surprises either.